One of the most persistent conspiracy theories in the Muslim world is that the "Islamic State of Iraq and Syra" (ISIS) and extremist groups like it are the creations of Western countries, and in particular the United States. The theory, which suggests that these groups are used as a pretext for Western intervention in Islamic nations, has considerable support in the Muslim world among large swathes of the population, including politicians. A host of academics, experts and religious figures say these sorts of theories are lies disseminated to distort the facts on the ground. "By promoting such theories, some forces in fact want to confuse the people about the brutalities of the global militant networks," said Karachi-based religious scholar Allama Ahsan Siddiqi, who leads the Interfaith Commission for Peace and Harmony. The history of ISIS's inception in the Middle East is not in question, he said, noting that "one can trace its roots back to Abu Musab al-Zarqawi". 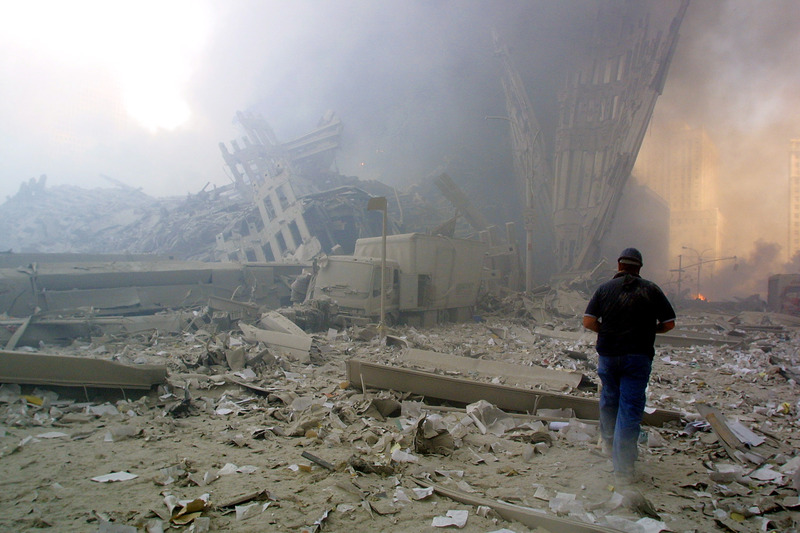 A Jordanian militant who joined al-Qaeda in 2004, al-Zarqawi pledged allegiance to Osama bin Laden, later becoming the first emir of al-Qaeda in Iraq. 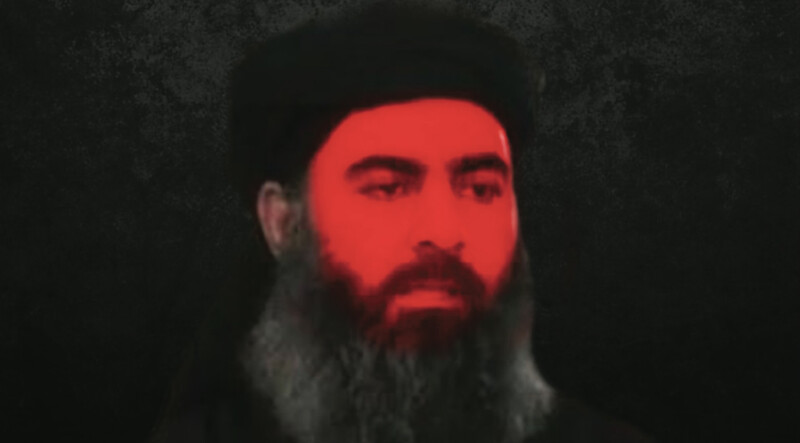 Abu Bakr al-Baghdadi -- who now leads ISIS -- joined al-Qaeda in Iraq a year later, in 2005, after getting out of Camp Bucca prison in Baghdad, where he had been detained after being caught visiting a wanted terrorist. Born in 1971 in the village of al-Jilam, south of Samarra, al-Baghdadi later moved to Baghdad to complete his education, said Hisham al-Hashimi, who has written two books on ISIS; 'The World of ISIS' and 'ISIS From Within'. 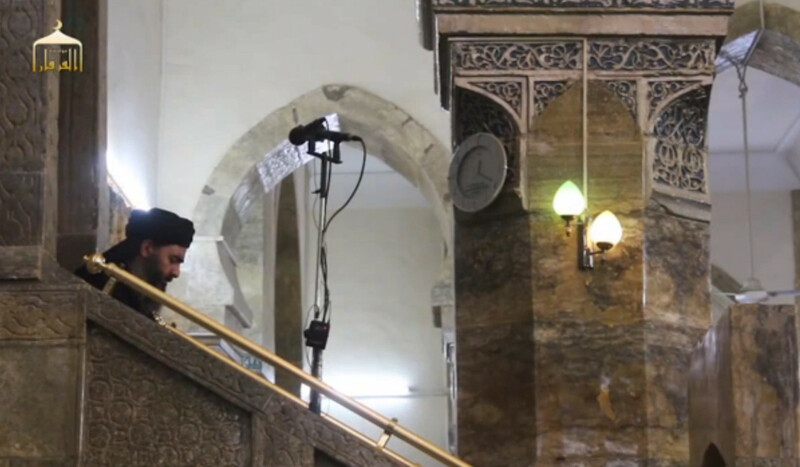 From an early age, he was influenced by salafist ideology, and went on to propagate his extremist views as imam of a Baghdad mosque, al-Hashimi said. A prominent figure in the militant group The Army of the Victorious Sect, al-Baghdadi was introduced to al-Qaeda by his cousin, Mullah Fawzi al-Badri, and pledged allegiance to then-leader al-Zarqawi. Al-Zarqawi was killed in a US raid in June 2006. "Ever since al-Zarqawi was killed, al-Baghdadi managed to rise through the ranks during the leadership of Abu Omar al-Baghdadi (Hamid Dawood Mohammed Khalil al-Zawi)," al-Hashimi said. After that, he served under Abu Hamza al-Muhajir, the Egyptian head of al-Qaeda in Iraq, "paving the way for his becoming the leader of ISIS". Al-Hashimi notes that the death of al-Muhajir, who was killed by Iraqi forces in 2010, "allowed al-Baghdadi to become leader". Al-Baghdadi was nominated "to lead the nascent ISIS", he said, but had set his hopes even higher, and dreamed of reviving the Islamic caliphate. "In 2011, al-Baghdadi took advantage of the turmoil in Syria and sent some of his close followers to convince al-Qaeda members that were in eastern Syria to accept the idea of a caliphate and to abandon their main group and join ISIS, which started to become stronger," al-Hashimi said. In April 2013, he managed to finally attract Syrian leadership and groups that were ideologically connected with al-Qaeda, declaring the establishment of ISIS. Egyptian political researcher Abdul Nabi Bakkar, a professor at Al-Azhar University’s faculty of sharia and law, said the proliferation of terror groups in the region has been accompanied by countless lies. "Upon examining the historical and political facts, we find the obvious falsehood of these claims that were promoted by unknown parties," he said. These claims have been widely believed, he added, "because they were repeated and reiterated by many politicians in the region". "How could ISIS, for example, be a US creation, when it evolved from al-Qaeda in Iraq, which was founded by Abu Musab al-Zarqawi, and bin Laden before him?" Bakkar asked. Muhammad Amir Rana, director of Islamabad-based think tank Pak Institute for Peace Studies, said it is abundantly clear that ISIS was formed by former al-Qaeda leaders active in Iraq and Syria. "There is no indication that ISIS is a US product," Iraqi expert al-Hashemi said. "The organisation emerged and developed its offensive potential and tactics using its own capabilities," he said. "It is inconceivable that it is, with the rest of the fundamentalist organisations, receiving instructions and direction from the CIA or other." "ISIS was not created by the US," said Juma Khan Hamdard, former governor of Afghanistan's Helmand province. "ISIS is the biggest enemy of the US and against them, how can someone say that it was created by them?" he asked. Afghan parliamentarian from Nangarhar province Amir Khan Yar noted that the US is at war with ISIS in Afghanistan. "In Nangarhar, we are witnessing that every day they are fighting ISIS insurgents, they are sacrificing their soldiers to bring stability to Afghanistan," he said, adding that the US would "never" support ISIS. "The conspiracy theory is not new," said Cairo University sociology professor Bassima Husni, noting that it "is no more than a set of perfectly fabricated lies". As the lie is spread by people or institutions that have credibility with their audience, it "is viewed as an actual fact or as a conspiracy being hatched against the targeted population", she said. The general public often does not research these issues, Husni said, and may be persuaded by the statements of well-known figures. This may cause people to lose sight of the core problem, she added, which is the original intention of the conspiracy theory, which creates "a diversion factor intended to prolong the problem as long as possible". Muslim Scholars in Iraq head Sheikh Khalid al-Mullah said that "considering ISIS as an American product" is an attempt to deflect the problem of terrorism and extremism in the Muslim world. "Is it logical for the US to control the mentality of 1.5 billion Muslims and say that it is drawing and determining the decisions for Muslims?" he asked. "Why do we not admit that ISIS is the product of extremist thinking [propagated by] men of religion, authority and influence to manipulate the feelings of young Muslims and control their minds for selfish benefits or political ends?" he said. Iran's Islamic Revolutionary Guard Corps (IRGC) has often propagated the falsehood that ongoing conflicts in the Middle East are being fueled by Western countries, particularly the US, experts say. The Iranian media machine continually promote this theory and claim that terrorist attacks and plots in the region are part of the conspiracy hatched by the US against the peoples of the region to serve its own interests, said al-Sharq Centre for Regional and Strategic Studies researcher Fathi al-Sayed, who specialises in Iranian affairs. The proliferation of this conspiracy theory is aided by many pro-Iran satellite groups such as Lebanon's Hizbullah, al-Sayed said. The IRGC is behind the spread of these lies, he added, noting that it has regularly provided support to extremist groups, including al-Qaeda. "The reason behind the spread of this lie is to first deflect blame from [the IRGC] and [second] provide a pretext for its intervention in the region," said Bakkar, the Al-Azhar law professor. Iran has made use of this conspiracy theory "to control the Shia sect in the Arab region under the guise of standing up to the American project and protecting [Shias] from attempts to end their existence", he added.